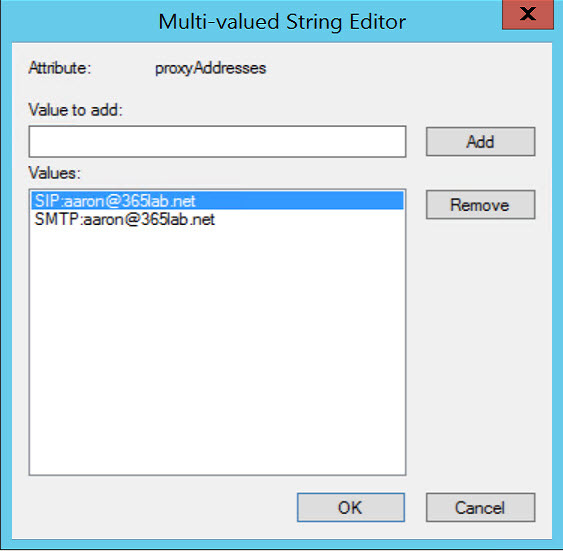 The Lync/SfB Client is getting the sign-in address from the proxyAddresses or msRTCSIP-PrimaryUserAddress (requires Lync/SfB ad schema extensions) attributes. With this approach, we simply populate the proxyAddresses attribute with the corresponding sip/email address with a SIP: prefix. The example below is assuming that your email/sip address is the same as the UPN on your users.